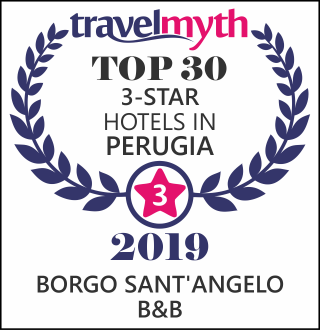 Whether you choose bed and breakfast, or you opt for room only, or half or full-board, Borgo Sant’Angelo can give you unforgettable memories of the hidden and less well-known treasures of Umbria. If you choose half or full-board, you can taste the superb local specialities, sweet and savoury, in one of the restaurants dotted around the historic town centre of Gualdo Tadino. The Charme bedroom is the ideal choice for those who want to fulfil truly sensory experiences. As well as being very spacious, it is characterised by pleasing and charming décor, and extremely comfortable, starting with the large double bed. The room benefits from air conditioning and spacious bathroom, a hairdryer, minibar, safe, full HD LED TV and free WiFi connection. and a free Wi-Fi connection available to all guests.